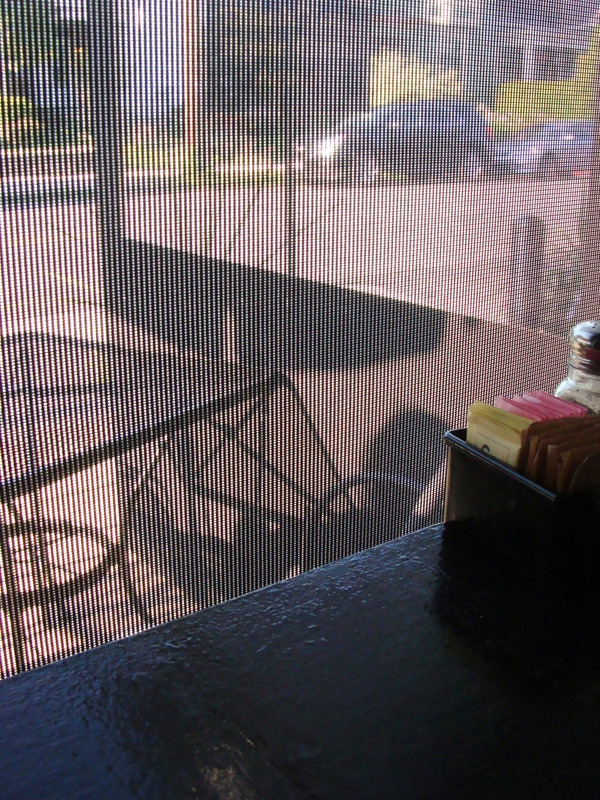 Skillet (“rustic, urban, food”) has been on my list of places in Columbus to try since… forever. A few weeks ago, my Skillet brunch dreams finally came true. I wanted to order the entire menu, but decided on the smoked chicken and andouille sausage gravy and biscuits. My boyfriend couldn’t decide between sweet and savory, so he started with a griddled cinnamon roll and then went with the Chef’s special – smoked brisket hash. 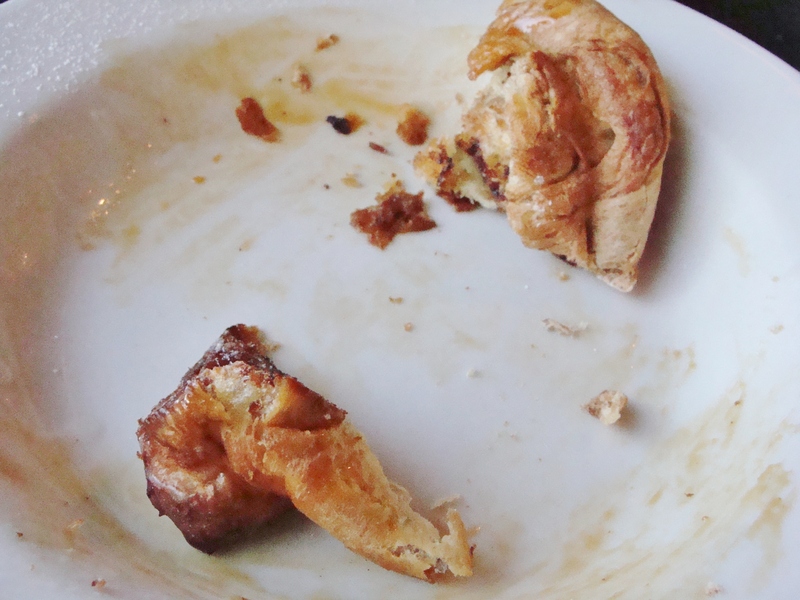 The cinnamon roll was massive, but surprisingly light. Meaning you could eat it and not immediately feel like rolling up in a ball on the couch. It was absolutely delicious. And, obviously, it was not long for this world. 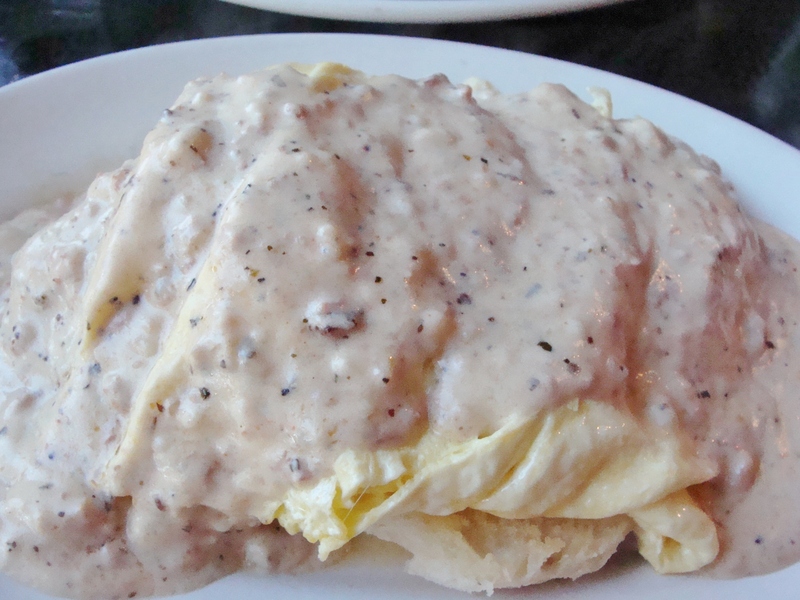 smoked chicken and andouille sausage gravy and biscuits, served with fresh scrambled eggs. 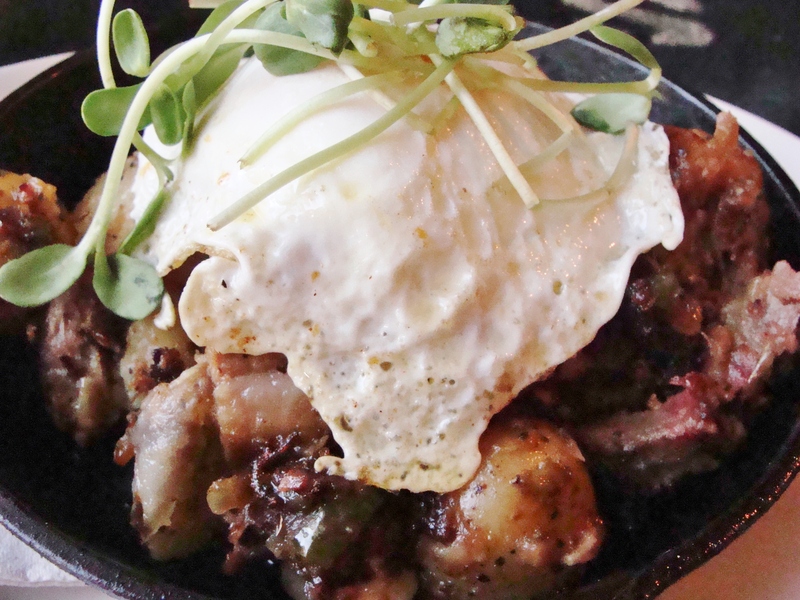 Smoked Brisket Hash, a rustic chunky hash of house smoked Ohio pastured beef brisket with sweet onion, bell peppers, and just dug potatoes. Now: My boyfriend’s smoked brisket hash was incredible. I definitely had entrée envy. The meat was tender, and the potatoes had such great flavor. 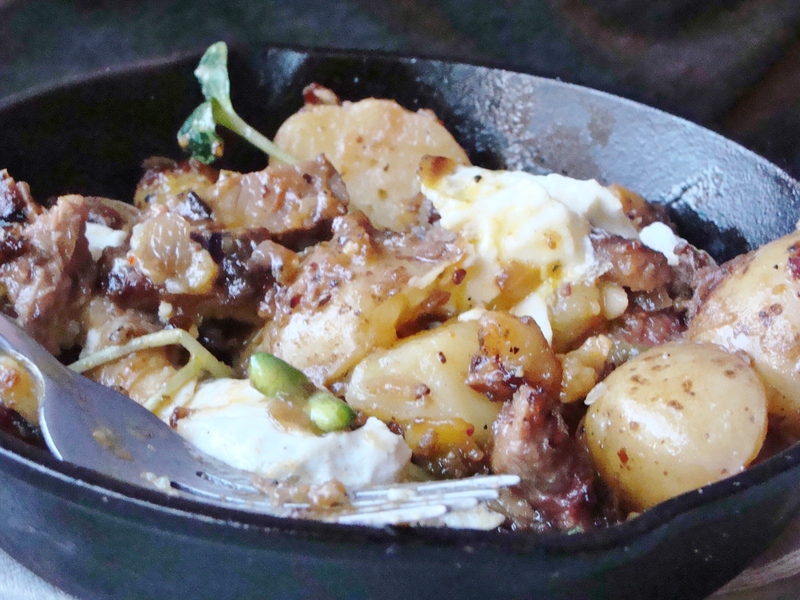 It was the perfect little skillet of fresh ingredients, with the star being the brisket. On our next visit, I am sure we will both order the Chef’s special hash, no matter what it is. I trust that it will be amazing. Thank you so much! 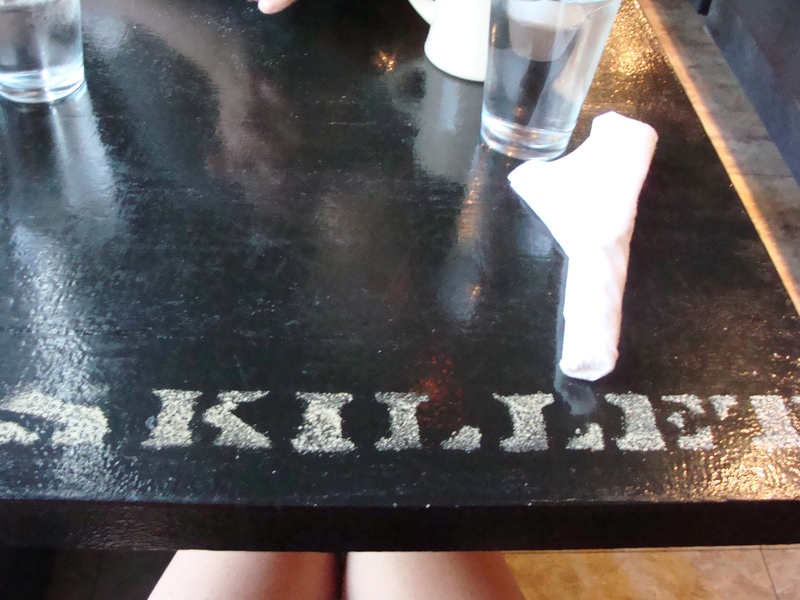 I remember how much I loved my meal at Skillet — have you had a chance to go to brunch there? I appreciate your reading & commenting. « light & creamy potato soup. 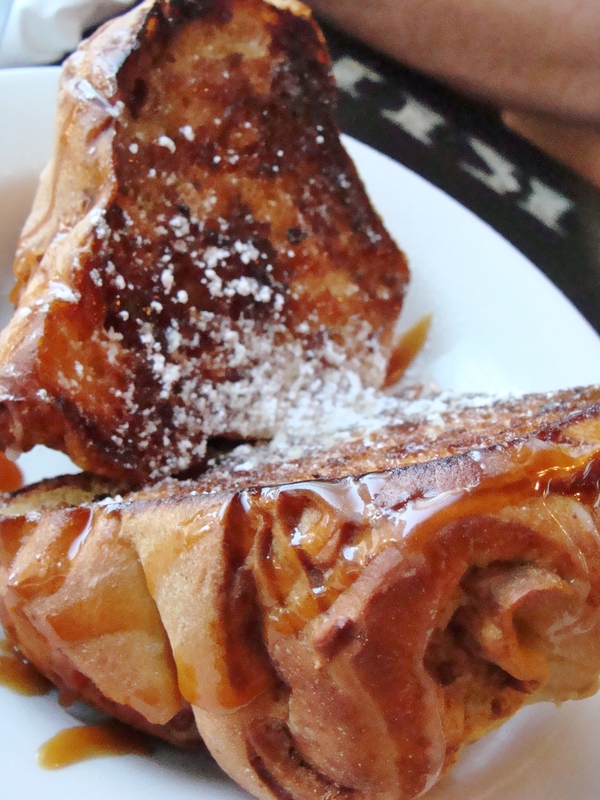 You are currently reading dining out @ Skillet (Columbus) at The Cheesy Kitchen.